Mississauga Tow Truck offers specialized flatbed towing and transport services for light to heavy vehicles across the Greater Toronto Area. 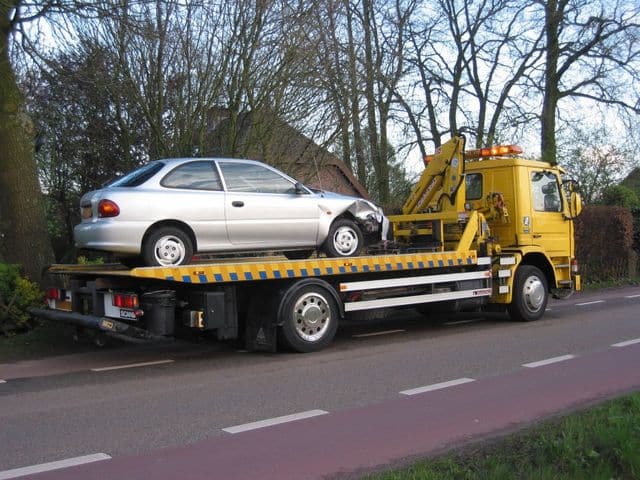 Mississauga Tow Truck offers great quality and well-maintained flatbed tow trucks that are equipped with hydraulic lifts and tow ramps specifically made to cater to all types of vehicles. As a premium towing service in Mississauga, we make sure that our flatbed tow trucks can accommodate vintage cars and specialty sedans, as well as motorcycles and 4-wheel drive vehicles. If you need special handling for your prized cars, our 100% hydraulic tilt bed vehicle carriers are perfect for this purpose. Mississauga Tow Truck offers competitive rates for long distance towing services open to areas such as Vaughan, Thornhill, Etobicoke, Newmarket, Maple, Hamilton, the Greater Toronto Area, and North York. Just when you think your car is running smoothly something unexpected happens. Perhaps it suddenly breaks down in the middle of the road, or you run out of fuel, or maybe even a dead battery. In this case, you will need the expertise of our highly qualified Mississauga towing specialists to come to your needs. With over 30 years in the business, Mississauga Tow Truck remains the top choice of luxury and vintage car collectors in and around Mississauga. Our professional team of operators and full service tow trucks are equipped to assist with all your roadside needs. We also provide exceptional flatbed towing services, an excellent alternative to the conventional tow trucks. Flatbed towing is a recommended towing option for tow that exceeds 10 kilometers. Conventional towing over long distances can put unwanted strain and damage on your vehicle. Flatbed towing provides more safety and security while transporting your car from one place to another. Our low clearance flatbed tow truck is the best way to go when loading luxury vehicles, motorcycles and even motorhomes. With the aid of our hydraulic powered tilt beds, we are able to lift your vehicle in the most secure way possible eliminate any stress on your car. Do you need to transport a recreational or commercial vehicle? If so, then our extra wide and low clearance flatbed towing trucks should be perfect. All you need to do is to grab the phone and give Mississauga Tow Truck a call for your towing concerns. With our trained and friendly staff, you can count on an efficient service just as you need it. If ever you need the most responsive and ever reliable tow truck service in Mississauga, then we are the one you should contact. We cater to an extensive range of service areas, so you can be sure that we got you covered. For more information on our services, call us at 647-953-9655 today!